We’re living in an era of customer reviews. Tell me, when was the last time you ate at a restaurant, stayed a hotel, or purchased a blender without first scouring the internet for real customer insights? In the world of Yelp, TripAdvisor, and Amazon, it’s nearly impossible not to. But it’s not just quick meals, vacations, and $30 kitchen gadgets that reviews influence. We rely on reviews for some of our most significant life choices. Think Glassdoor and all the candidates who seek out the experiences of past and present employees before taking a new job at the same company. Or the parents who read pages of Care.com reviews before selecting their toddler’s future nanny. Even our major business purchases (and we mean major – think spending tens of thousands of dollars on a new software tool) are influenced by reviews on sites like G2.com. The fact of the matter is this: reviews influence how we buy. And when something influences the way consumers buy, it’s going to influence the way a sales rep sells. In today’s day and age, your typical sales pitch is no longer sufficient. Potential customers will be asking the tough questions, and sales reps should be well-equipped to answer them. Daunting as they may seem, real user reviews will actually help you sell. That’s right – even the not-so-good feedback. 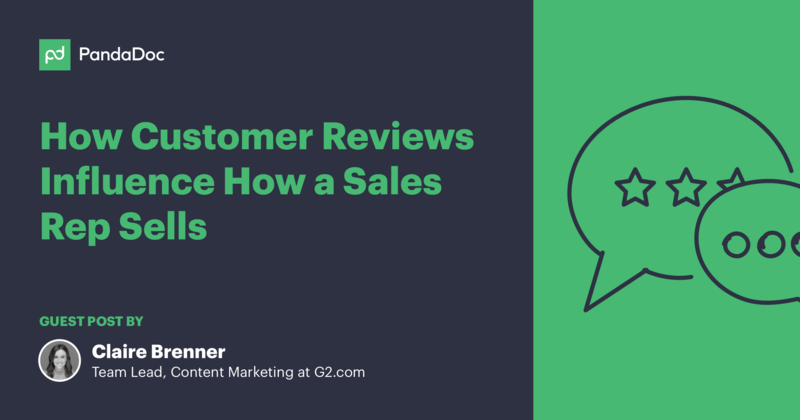 Let’s take a closer look at how customer reviews impact the way a prospect moves through the sales funnel. 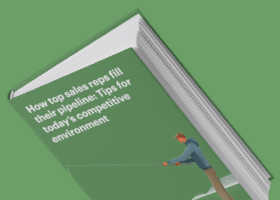 If a marketing team does its job right, it’ll be handing over a long list of marketing-qualified leads (MQLs) to the sales team. Since an MQL is a lead that’s been deemed more likely to eventually convert, this initial touch point may be where the purchasing process starts for many of your future customers. This means it’s important that your marketing team is including your product’s customer reviews in its efforts right from the start. Luckily, the opportunities are endless. Teams may consider designating a landing page on the company website that features your product’s most glowing reviews. To take it even one step further, investigate the idea of a discussion board, where happy customers can share feedback and interact in real time. Making this information readily available to prospects demonstrates your company values feedback and isn’t afraid to hear it. Additionally, screen captures of reviews make great content for paid ads across social media platforms. When taking this approach, be sure to check with the reviewer and ensure they’re okay with the company taking their feedback to social media. More often than not, they’ll happily oblige. And as an added benefit, engaging with these satisfied reviewers can get your team one step closer to turning them into a full-fledged brand advocate. Last, but certainly not least, the best thing a marketing team can do with reviews is to engage with them. Whether this means sending a quick Tweet to the reviewer thanking them for their feedback or responding to the review itself with thoughtful commentary, engagement proves your team actively monitors this feedback and is excited to hear about it – the good and the bad. When responding to reviews, keep in mind the following tips: be prompt, practice active listening (or reading, in this case), and know when to take it offline. There’s an unfortunate truth when it comes to outbound sales outreach, but one we need to acknowledge. Cold calls will go unanswered, and emails will go unread. So instead of an email asking prospects to meet you for a coffee, or a LinkedIn message that requests they sit down with you for a demo, why don’t you send them something they’re already looking for? Here’s a kicker – 72 percent of customers won’t take further action until they’ve read reviews (Testimonial Engine). That said, consider meeting potential buyers where they’re at by sending a link to your product’s reviews along with your initial outreach. This is a simple addition to your typical outreach email – one that will help you establish yourself as authentic and save your prospect the time they would have spent seeking these insights out on their own. It’s a win-win that may just help you land that demo. Unfortunate truth number two: consumers know a sales pitch when they hear one. No product is perfect, and a single offering will never be the right choice for every company. So why do so many sales pitches still claim that the product is the end-all-be-all solution? Instead of packaging your tool as the perfect solution for every business, acknowledge that it’s not. Then, use that to your advantage. Take a deep dive into your product’s user reviews. Make note of what your customers are saying – what they like, what they would change – and most importantly, who is saying it. What industry are they in? What’s the size of their company? What’s their seniority level? A genuine understanding of how your product caters to different types of people is critical to when it comes to selling to those different types of people. By catering your pitch to your prospects role, industry, and work environment, you can prove that you’ve done your research and more importantly, set proper expectations for the future. Closing a deal is critical (obviously) and exciting (duh! ), but a successful salesperson knows that the closed deal is only the beginning. Ultimately, this so-called final step should be the start of a long-lasting, trusting, and mutually beneficial relationship. And what better way to keep a regular pulse on your customers’ happiness and satisfaction? You guessed it – customer reviews. This is where we come full circle. By encouraging your current customers to review your offering, you’ll stay well-informed on how they feel about your product – the good, and the not-so-good. Those good reviews will be repurposed into your marketing collateral, your sales pitch, and more. The negatives will help your product team identify gaps and opportunities, ultimately improving your product. Not only do customer reviews impact the way you sell, but they’ll impact the way you upsell. When the end of that initial contract is nearing and you’re looking for your next renewal, your customer’s authentic feedback will be your biggest and best secret weapon. Understanding what your existing customer loved about your product – and more importantly, what they weren’t so crazy about – can help you restructure their contract in a way that sets them up for success. Let’s say your product has an a la carte feature that according to their review, they “never once touched”. Omit that from contract number two, and instead, focus your upsell efforts on the options that brought them the greatest ROI. The initial sale is important, but leveraging reviews to enhance your customer experience is what will truly set you apart. I’ll leave you with this. Customer reviews are out there, and they influence consumer behavior every single day. The salespeople who acknowledge this and adapt are the ones who will succeed. When you include customer reviews at every touchpoint throughout the purchasing process, you’re emphasizing the importance of transparency and authenticity. That seemingly simple step will ease an often-painful process and ultimately, set you and your customer up for success. Hailing from the University of Dayton, Claire found her way back home to Chicago upon joining G2 in May of 2016. 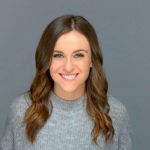 An avid writer and eager learner, she discovered a passion for content marketing – one that continues to keep every day at work even more exciting than the last. In her free time, you’ll find Claire practicing calligraphy, seeking out the city’s best BYOB sushi restaurants, and planning her next trip.